Your gift will help us to rescue those most vulnerable of creatures. The unwanted, abandoned and lost animals of our region and beyond need your help. With your support we can end suffering, educate to end cruel practices, and offer hope to so many animals and people alike. Please support our mission with a financial gift. Monetary donations maintain our many programs and services, and have recently enabled our organization to build a wonderful new Humane Education and Animal Care Centre in 2010. With your further support we can continue to help thousands of animals each year find loving homes. You can leave a lasting legacy with your final wish. 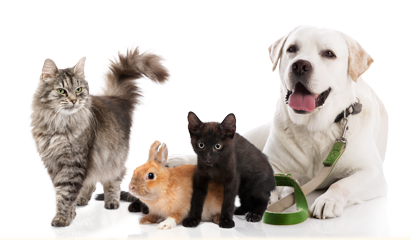 By making a bequest or a legacy gift you can help the Central Alberta Humane Society continue to make a difference by providing a safe refuge for the lost and unwanted animals of central Alberta. Choosing to leave a legacy gift, of any size, is your opportunity to support our mission today and after you are gone. We also appreciate donations of items on our Wish List. Now that we have a retail store, many of these items - including pet food, toys and accessories - are literally within arm's reach for our staff! Your thoughtfulness and generosity will go even further when you purchase items from our store and donate them back to CA Humane. All donations of goods purchased here will receive charitable tax receipts. We welcome all kinds of support for our furry friends, including donating cars, plan points, fundraising, donation matching and more. You could even help out by switching your energy provider. Learn more about these other ways to give to shelter animals at the Central Alberta Humane Society. Volunteers are an important part of the Central Alberta Humane Society. We need volunteers to help with our events and also to assist with everyday operations. All of the volunteer positions we have are important to us and especially to the animals. It is critical for the animals to have the love, affection, exercise, and socialization they deserve.